In Core Physics these discoveries and laws are laid out in chronological order, each naturally building on the former. This program covers classical physics... the period which led to the Industrial Revolution and modern technology. People study classical physics and physics. 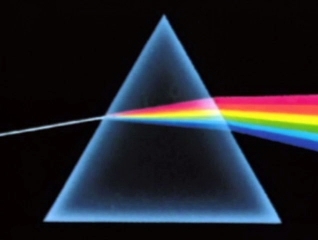 00:04:59The Theory of Light contains such components as Spectral Lines, Light Waves, electromagnetic radiation, Fraunhofer lines, wavelengths, and light spectrum described by Newton, Christian Huygens, and Joseph von Fraunhofer. 00:02:52Electromagnetism, made up of electricity and magnetism, was a theory made up by William Gilbert when he demonstrated magnetic poles. 00:05:46Thermodynamics, which includes the first law of Thermodynamics and the second law of Thermodynamics explains energy, entropy and the impossibility of perpetual motion machines and the workings of steam engines and was developed by Sadi Carnot, James Joule, and Rudolph Clausius. 00:05:27Michael Faraday showed that electricity and magnetism could be combined to produce an electromagnet, which would power a motor and eventually lead to the electrical generation of power. 00:04:00The Doppler Effect was first demonstrated using sound and sound waves to modify the speed of sound and can be used in Doppler radar. 00:04:41Electromagnetic radiation is made up of electricity, and magnetism, which was discovered by, James Maxwell, and was later used to create electromagnetic waves, including radio waves, which were used by Hertz and Marconi. 00:05:17X-Rays and radioactivity are electromagnetic waves that are part of the , electromagnetic spectrum, and were discovered by William Roentgen and Marie Curie, with alpha particles, beta rays and gamma rays later added to the electro magnetic spectrum.